As the Game of the Year discussions began for 2018, a few titles immediately rose to the top for consideration. Among that list was Red Dead Redemption 2, Celeste, Marvel's Spider-Man, and another Sony exclusive, God of War. The latter game was a soft reboot of a franchise that had fallen on hard times. Since the first entry and its sequel, the rampage of demigod Kratos through all of Greek myth lacked the spark of greatness. While God of War 3 and God of War: Ascension had some excellent moments, it felt like Kratos was just going through the motions. A few months after the 2013 release of God of War: Ascension, Sony Santa Monica welcomed back Cory Barlog, who was a lead animator on God of War, director on God of War 2, and director for the first few months of God of War 3. In his time away from Sony Santa Monica, Barlog worked briefly with Mad Max creator George Miller and helped direct the cinematics for the 2013 reboot of Tomb Raider. Instead of picking up where God of War 3 left off, this new vision of God of War rested on the shoulders of an older, wiser Kratos journeying through Norse mythology. 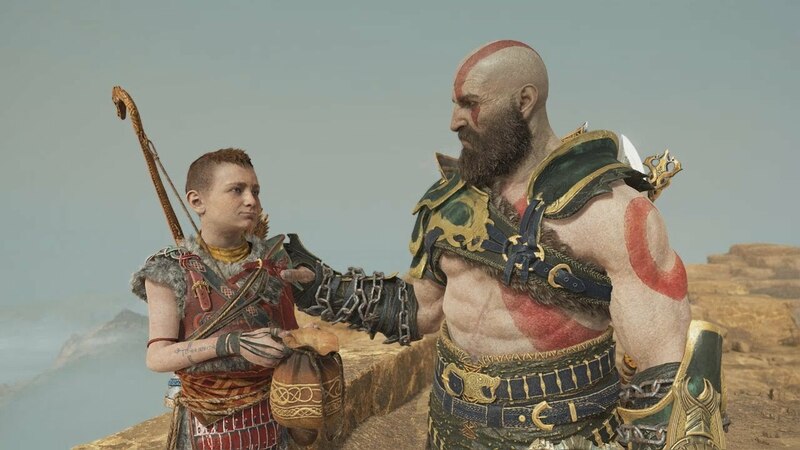 Kratos was joined by his young son, a new character to the series, Atreus. And gone were the iconic chained Blades of Chaos, in favor of the all-new Leviathan Axe. It was change that Sony Santa Monica pulled off with great success. Five million copies were sold within its first month. God of War also won several Game of the Year awards at various outlets, in addition to Game of the Year and Best Direction at the The Game Awards in 2018. Game development isn't a finite process though. Every developer has things they would change about the final product, other paths they wish their vision had taken. "Even when we release a game, I don't think the creative journey is over," God of War creative director Cory Barlog tells me over the phone. "You know making games is an unending series of compromise discussions. I don't think we ever are satisfied with anything." God of War follows the story of Kratos and his son, Atreus. The father and son duo are on a simple quest, to deliver the ashes of Faye, Atreus' mother, to the highest peak in the realms. Following his roaring rampage of revenge in the previous games, Kratos is now afraid of his own godhood and he worries that his son will follow his path. Kratos, who was previously characterized by his anger, is reframed by his regret and fear. Making Kratos and Atreus' family bond work relied heavily on the gameplay as well as the narrative. Atreus is your constant companion through most of the game, able to attack enemies on Kratos' command. 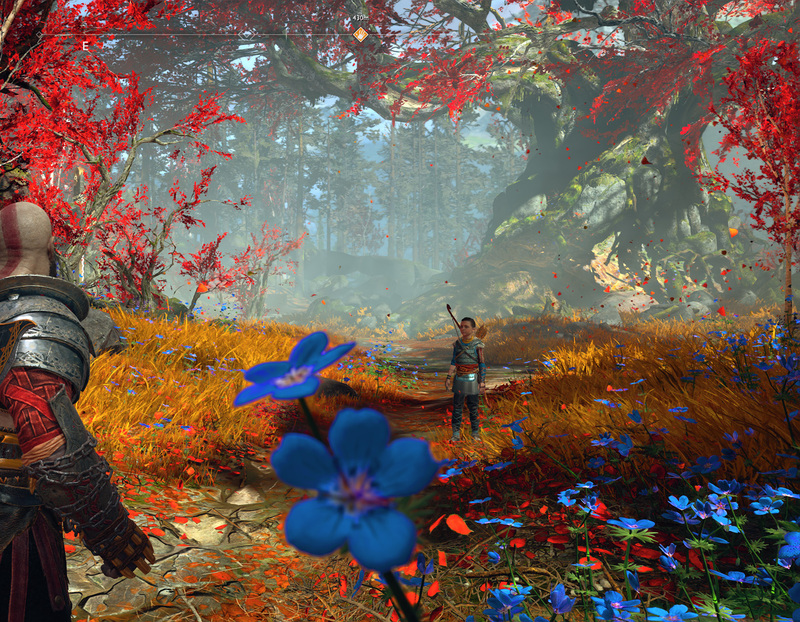 The boy can move autonomously, but a strength of God of War is how the combat system increases the bond between Atreus and the players, as it does between the boy and his father. Barlog says that part of the combat system was "investing the player in the parenting process." The original concept for Atreus had the boy staying out of danger until you actually commanded him to fight; the father was the one committing his son to potential harm. The original system was patterned on another game Barlog had played, Namco's Dead to Rights in 2002. The first of four games, Dead to Rights puts the player behind the badge of Jack Slate, who fights crime with the help of his canine companion Shadow. Players could direct the dog to attack or disarm targets. In contrast, Atreus is controllable with a single button press, allowing you to use him in the middle of attacks. Barlog says this model was created when the team tried to find a system that was "seamless and simple," with the player not having to "feel like they're doing squad-based commands." "We found this mixture over a somewhat messy experimentation period. Atreus was started right in the beginning and I don't feel like we ever really nailed it down until that last eight months. Unfortunately, it just required so many different systems: his ability to hit his mark was a big deal that didn't come until late," says Barlog. There's one facet of Atreus that wasn't intended to be a part of the final product. Atreus has a series of magical runic summon attacks, including Murder of Crows, Storm of the Elks, and Boar Stampede. According to Barlog, they were initially envisioned by technical combat designer Hayato Yoshidome. "We had not scoped for them. I had wanted them, but they just were not within scope," adds Barlog. Yoshidome did most of the summon implementation on his own, and then showed his work to the rest of the team. There were actually more summons created that were scoped down to the six that appear in the game. While the journey in God of War is focused on a father and son, family is a strong theme that runs through the small cast of available characters. Thor's sons Magni and Modi appear a few times during the journey, and Thor's father Odin looms large over everything. Towards the end of the game, the Witch of the Woods who's been helping Kratos and Atreus is revealed as Freya, wife of Odin and mother of Baldur. The latter is the main antagonist in God of War, The Stranger who attacks Kratos at the very beginning, mistaking him for his quarry. Some critics have noted that women are treated poorly in God of War's narrative and prevented from having redemptive arcs. Kratos' wife and Atreus' mother Faye is referenced, but never seen in the game. Freya is seen, but her actions are ultimately revealed to be aimed at protecting her son, which ends up making him into an aggressive monster who revels in violence. Freya's sorrow is meant to reflect on the primary story being told: you can't protect your child forever, and trying can have unforeseen consequences. "I would have loved to have [Freya] in even more, but it really is a story about Kratos and Atreus. Every character acts a bit as a mirror or a cautionary tale for Kratos." says Barlog. "Whether it's a good lesson you can learn from them or a bad lesson you can learn from them. He's surrounded by people who are making similar decisions and they're there to help him understand. "[And] to me, there's so much more to her story. I think if you were to make a game just about her, there would be so much that you'd be cramming in there. You get that feeling, if you were to play a second or third game, you'd look back at the first one and feel like, 'Wow, the beginnings of this character and how they were drawn and developed really had that fantastic slow burn.' Kratos had so many games to build up to where he was at, and these other characters need that same build." Kratos leaves behind the Greek mythology of the previous games for an expansive world based on Norse mythology. 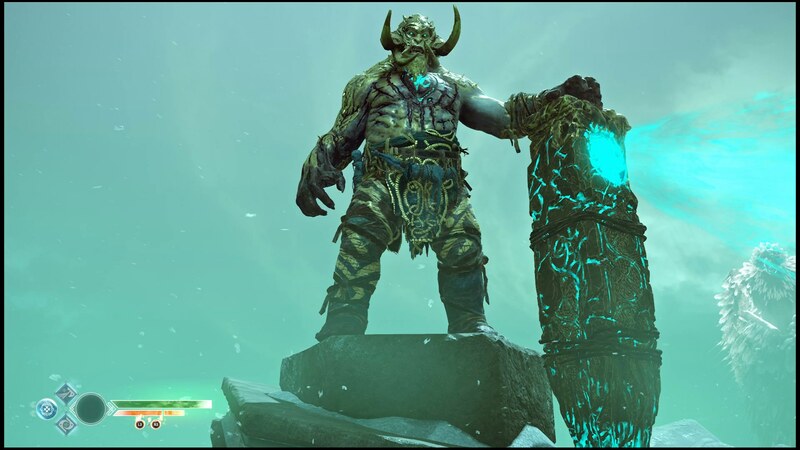 Barlog says that tackling this new mythology was interesting for the team, because most people vaguely know Norse myth from Lord of the Rings or Marvel's Thor, but the spread of characters is more dense, compared to the broader case of Greek myths. 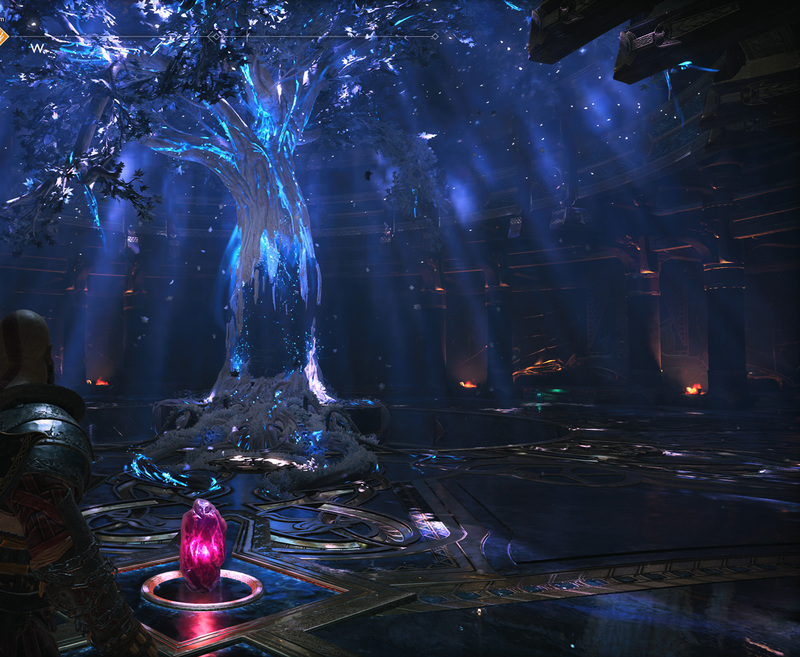 God of War references the Nine Realms of Norse mythology-Niflheim, Muspelheim, Asgard, Midgard, Jotunheim, Vanaheim, Alfheim, Svartalfheim, and Helheim-though it only allows you to explore a few of them. Barlog admits the number "fluctuated slightly" during development. The main quest in God of War feeds into a concept of unfettered exploration. 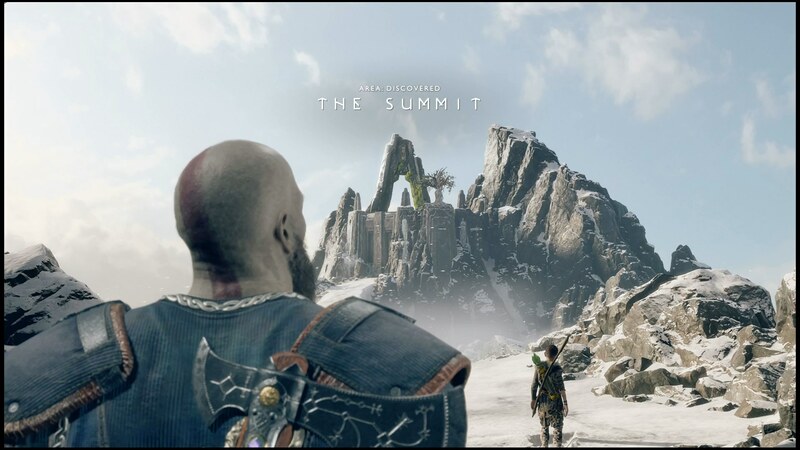 Kratos and Atreus aren't trying to save the world, they're just trying to release Faye's ashes in a certain location. "I wanted to be able to have a wider, linear game that felt like if I want to wander around, I'm free to do that," says Barlog. "It wasn't like I hate open-world games, it was just there's a lot of expectation and, I don't mean this in a negative way, a lot of baggage. We had this goal for it to not be the end of the world, and give you this sense that it's more of a meditative journey of these two characters. In some ways trying to avoid reaching the end, because it's about facing their own feelings if you will." God of War is a clean 25-to-30 hour experience if you're playing through the main story content. Despite that, God of War isn't a smooth run. USgamer's own Kat Bailey and Caty McCarthy have noted there's sections of the game that feel like padding, with a lot of backtracking and puzzles that feel like they exist to slow progress. You revisit the icy hell-like Helheim twice and undertake the journey up the "highest peak" two times before finding out on both that you're on the wrong mountain. Not actually the highest peak. Barlog notes this was a common complaint about God of War, but he says part of that was intentional. "Some people have picked up on this idea of dealing with disappointments. This idea that throughout the game, you reach a lot of false peaks," Barlog tells me. "That was a heavily-discussed topic because there are camps of people who think, 'You're just moving the goalposts on me and it's very frustrating as a player,' and I don't want people to experience that. But that's a part of life; you're going through and nothing ever works out how you wanted. Nothing ever completed cleanly the way that you wanted. It is sloppy and messy, and when you think it's over, 'Oh great. We have a bit more to do.' There's always another bit of road ahead, even when you think you've gotten to the end." Part of adding more impact to the story of God of War and improving the connection between the player, Kratos, and Atreus is the presentation. God of War is unique in that the game, if played straight through, relies on a single camera take. Your viewpoint tends to hang just over Kratos' shoulder, pulling out to establish scale or tightening up to show emotion. Cinematography in video games is improving, but for all the industry's love of cinematic presentation, it lags behind actual films. 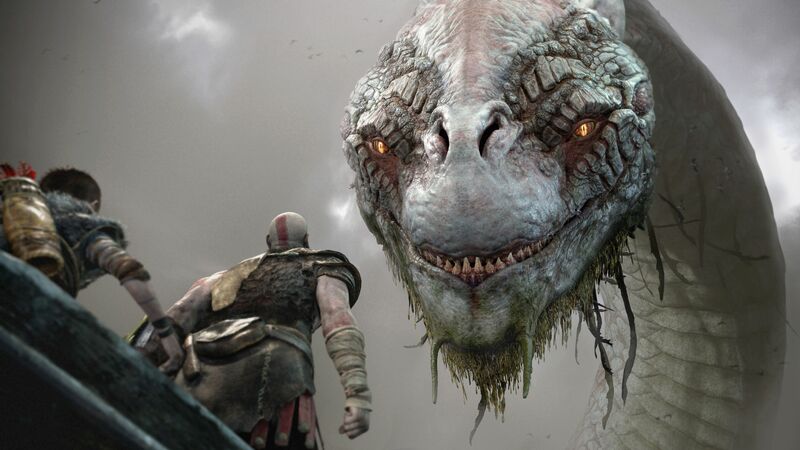 God of War benefited from the work of director of photography Dori Arazi, who did the same job as a cinematographer would on a film. A game is not a film though; film production relies on physical cameras, while games are closer to computed-generated animation, with player input. Same ideas, different process. Prior to his work on God of War, Barlog spent time collaborating with Mad Max creator George Miller. Their planned Mad Max project never came to fruition, but Barlog learned a lot from the writer-director. "I would say the time I spent with George Miller definitely opened my eyes to how we treat the camera, says Barlog. "And for a while I've been thinking about that idea of trying to do something where it was completely unbroken, simply because it was something that you can't really do in film when you're talking about this really extended experience and trying to create that cohesive, more up close and personal experience from it." In the end, Sony Santa Monica delivered an experience that many didn't think God of War was capable of. And while Cory Barlog led the game's vision as director, he also wanted players to know that the project was the work of an entire team of talent folks. And each of these folks had input that determined the final shape of Kratos and Atreus' journey. "I think that's the beauty of the collaboration with a team," Barlog says. "In the end, it never turns out how you imagine, it always is this amalgam of bringing in different perspectives. Not only life perspectives from individuals, but you know craft perspectives: people from the tech group or the engineering group. I think everybody on the team was very vocal throughout and I think that freedom to be vocal is a huge reason why the game turned way it did." Even with a more subdued Kratos, it's not God of War if he isn't killing someone. Most of the game is focused around the Leviathan Axe, Kratos' new weapon inherited from his wife Faye. The axe is your primary means of interaction for most of God of War. You'll gain new abilities, like Atreus' Light Arrows, but throwing and swinging the axe can get a lot done. 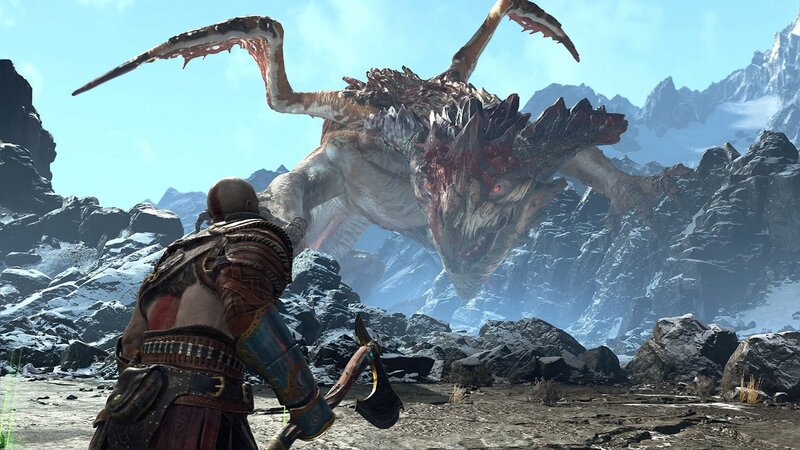 Sony Santa Monica focused heavily on Kratos' new weapon and did a ton of work to make using the Leviathan Axe feel great. But it almost didn't come together. "I got really apprehensive because we were still working on a core loop for the axe three and a half years in," says the director. "I think that commitment to the axe and saying, 'We're going to make this a multi-tool. We're not just going to make a weapon that is useful in combat. We're going to try to make this threaded throughout everything.' That was one of the cool parts of God of War was that combat was felt throughout all the game." The Leviathan Axe wasn't the only weapon in God of War though. A bit over halfway through the game, Kratos takes up the Blades of Chaos once again to save his son. It's a huge moment featuring the classic God of War theme, the return of Athena, and Kratos wrapping the Blades' chains around his bandaged arms one again. Barlog says holding the Blades of Chaos back as long as the team did was the intention from the beginning. "It was always the plan and honestly that was one of the most stressful parts of this entire game: knowing from the beginning that we were gonna do this," he says. "Convincing the team that not giving you the Blades until 60 percent was the right move, because everybody was like, 'We're going to put all this work into it and then they're not even coming for the last 40 percent!' I'm like, 'Trust me, it will work.' And then hiding that fact from the world for five years. I wanted a clean break in the sense that we have that indeterminate amount of time between God of War 3 and the beginning of this game." Holding back the Blades also allowed Sony Santa Monica to reinforce the new weapon and combat system. Once you get the Blades of Chaos, the new God of War plays rather similar to the originals, albeit with a different camera angle. The player needed time to soak in the Leviathan Axe. Barlog says there was "an uphill battle" trying to get people to adjust to the new control scheme. With the Blades appearing at the halfway point, play testers would actually switch to the classic control scheme once they received them, play for an hour, and then change back to the newer control options. In addition, Barlog admits the Blades were a bit played out. "We got a little stale by the last game. That's not to denigrate the team, it was just we've been using the same weapon for so long, it's really hard to go further beyond that," he says. The new God of War lacks the spread of weapons that players might've expected from previous games. Kratos uses the Leviathan Axe and Blades of Chaos, while Atreus switches between two types of arrows. The first two games had three different weapon types, while God of War 3 had five different weapon types. Barlog says that the team did ponder having more weapons, but determined it was better to focus. "It's better to do something really really well and thorough, than I think to have a surface level version of a lot of different things," he explains. "There's definitely a fear when you're developing anything, especially when it takes five years almost, lots of games coming up during that time, which means there's a lot of discussions on Monday mornings where people just played said new game and going, 'Why aren't we doing this?'" The previous God of War games traded heavily on spectacle, primarily in the form of huge boss battles. 2018's God of War still retains some of that spectacle, like the opening fight against the Stranger or the encounter with the huge dragon Hræzlyr, but it's low on the actual number of available bosses. Barlog explains that some of that was cut for development time and focus. "All of my regrets deal with the fact that I've had to cut certain chunks or sections throughout the game in order for us to get something on the disc that felt solid and cohesive all the way through. Certain things have to go by the wayside. Bosses were another thing that we had that huge ambition in the beginning and then we realized, 'Ok, it takes a team of 30 people over a year and a half to complete a single boss.' Our ambitions about doing the number that we had initially scoped was perhaps a little too much," he says. One charge made against God of War is that it reuses the troll bosses too many times. 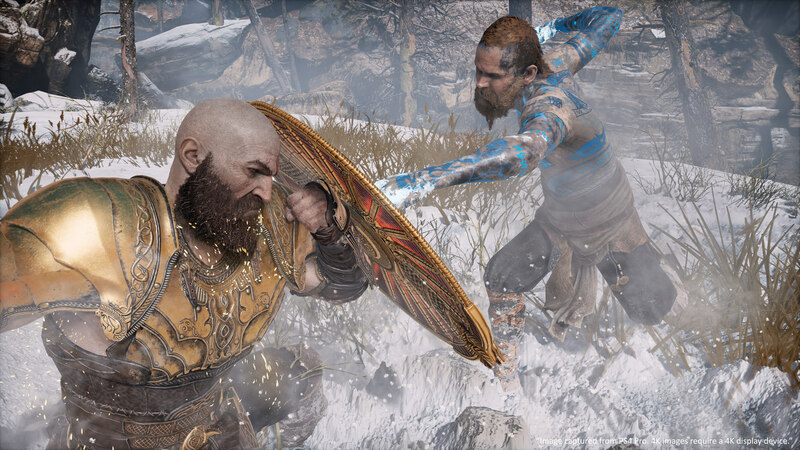 Kratos and Atreus fight a number of named trolls over the course of the game, and while certain facets of the fights change, the mechanics are largely the same. The thing is, according to Barlog, they were never intended to be bosses. They were just larger enemies, like the Stone Golems. The mistake was in the presentation. "Yeah, they were interesting because to me the trolls were not meant to be bosses. As you're going through production, you have to cut other bosses throughout and we started noticing during play tests that people were referring to them as bosses simply because they're big," he says. "For me in hindsight, that is definitely one thing I would've fixed: we used the meter that we were traditionally using for the other bosses. And that was a decision like a lot of other things on a big project like this, where you tried to solve an immediate problem. You have a character that's so tall that seeing a health bar on them that was floating above their head was not going to work right." The trolls were too big for the basic health bar to work; players had to aim up just to see their health. Sony Santa Monica tried to tackle the problem from various angles. They made it so that the health bar for the trolls would float on top of the screen, or moved it to other locations. Eventually, they decided to simply use the health bar they created for boss encounters. It also didn't help that each of the trolls was named. Barlog says that was part of the game's deeper lore. The trolls Kratos and Atreus fight are the last of their kind. These are encounters against a dying race, one that was mistreated and beaten down by the Norse gods. But time meant that bit of storytelling wasn't as fleshed out as some other encounters, like the dragons. "So it was our own fault. That was definitely one of those things where it was great feedback from the audience, and if we ever get a chance make another one, it is a learning experience." The dragons and the Valkyries are additional world content for God of War. The main story intersects with them in a small way, but they're meant as hard challenges for endgame play. The same is true of two of the Nine Realms, Muspelheim and Niflheim. These additional challenges allow enthusiast players to prove their worth, while casual players can contend with just finishing the story. The Valkyries were inspired by Barlog's time playing another classic franchise. "The Valkyries were definitely meant to feel hard in the beginning," Barlog says. "The reference I was using for people is I had actually played Ys 7 on [PlayStation Portable], and when you come out of the first city at the beginning of the game, you end up near this giant Brontosaurus-like creature. It hits you once and takes off like a thousand health. I think you have 200 health at that time or probably even 100 health. So it is really obvious like, 'I am not ready for this yet.' It's a bit more of the action version of the metroidvania formula." In our modern era, one thing that's unusual about God of War is something that probably shouldn't be: the game is a complete package. There were post-launch additions and updates, but no further content was added. No downloadable content, no microtransactions, no season passes. When you paid your $60, you got the full experience. Barlog admits that the team did think about downloadable content. There were ideas that Barlog wanted to explore, some of which were so big that they would've required their own standalone releases, not unlike The Last of Us: Left Behind or Uncharted: The Lost Legacy. But in the end, the game had to ship. "It became obvious as we were in that last year and a half, that I had to start shedding things just for us to make sure we had the best game on the disc. So things like those DLC bits just sort of got re-prioritized," says Barlog. In the end, it worked out for God of War. There's nothing wrong with games that have downloadable content or ongoing releases, but sometimes it's great to get a game that's just done. "I really wanted to recapture that feeling I got when I went to a game store, bought a game, took it home, and it was everything," Barlog reflects. "Certain games, I think it's great that they give you a continuing experience. I want people to feel like when they finish, that was the complete story for this game. We always leave a hook, and in this game several hooks, for the potential to continue this story simply because that's the greatest way to experience it. Like a great episode or even a great season of television, when you reach the end of that season, you're like, 'I cannot wait until the next season!' I wanted that same feeling." God of War absolutely captures that feeling. From the highest peak in the Nine Realms to the bottomless pits of Helheim, it's an amazing game. Hopefully, the next season is just as good. Tagged with Action Adventure,	Feature,	PlayStation 4,	Sony Interactive Entertainment,	Sony Santa Monica.